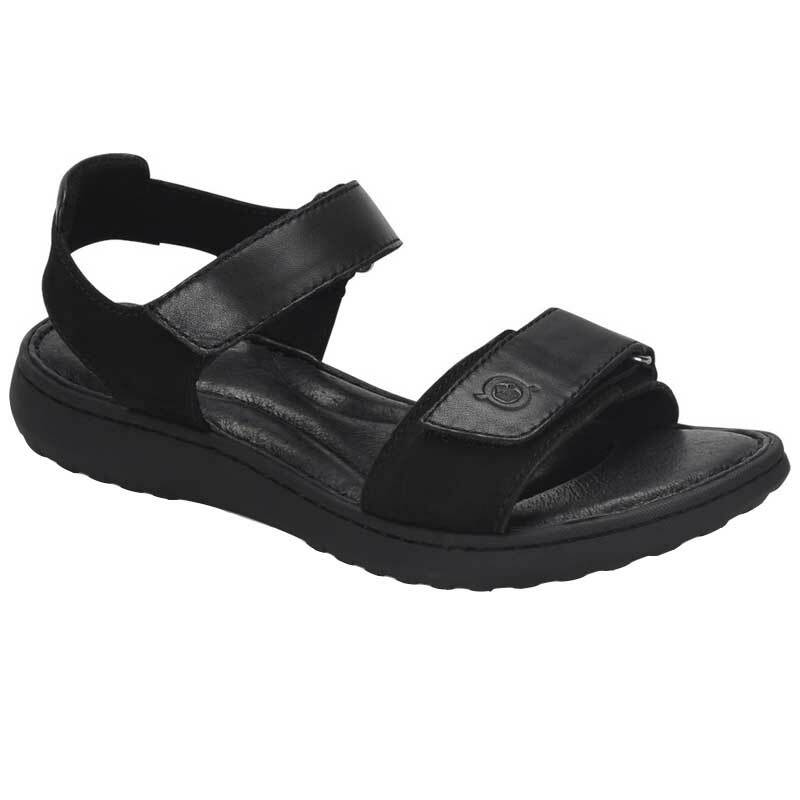 A pair of lightweight and comfy sandals is a summer essential and that’s just what you get with the Born Nirvana. This women’s sand is crafted from a combination of premium leathers and it features 2 adjustable straps to ensure a perfect fit. Leather linings are easy on the foot right out of the box and a generously cushioned footbed offers instant comfort. The Nirvana is crafted from Born’s Opanka construction which creates a reliable bond without taking away from flexibility. A rubber outsole provides traction for all of your summer adventures in the Born Nirvana.